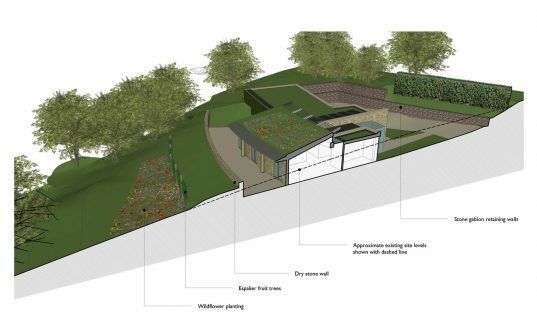 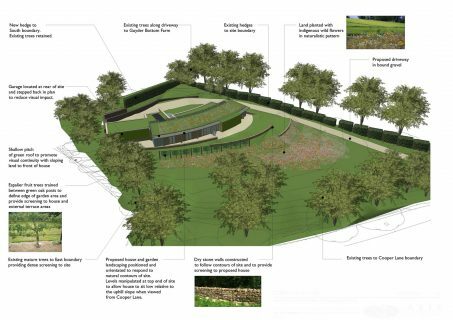 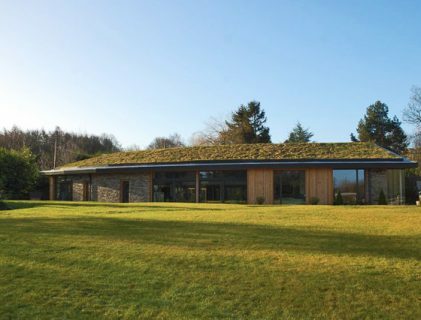 The curved form of Contour House, with its gently sloping green roof, arose from a desire to visually blend the house into the rural surroundings by mimicking the site topography and in doing so, minimising visual impact in its Green Belt setting. 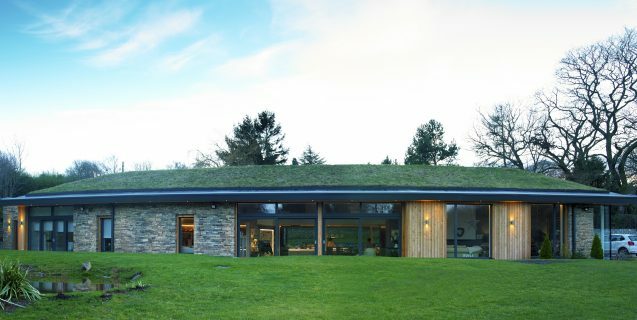 Set into the hill-side, features such as dry stone wall cladding and a wildflower blanket green roof make this an exceptional and highly original family home. 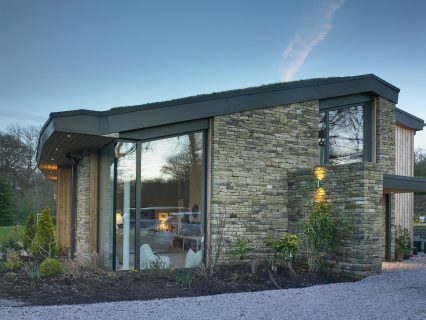 Completed in Spring 2017, the building envelope was constructed with insulation and airtightness strategies inspired by the Passivhaus low energy building standard, and a number of low energy technologies have been employed, including mechanical ventilation heat recovery (MVHR) and underfloor heating via ground-source heat pump. 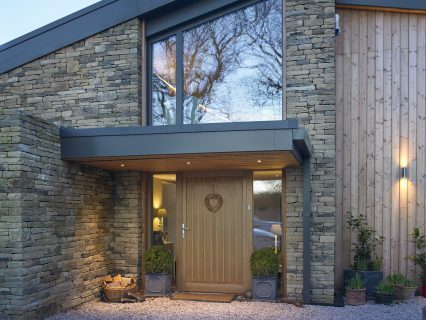 In the 2018 regional RICS Awards, the project was Highly Commended by judges in the Design through Innovation category.